As the Canadian Airports Council (CAC) prepares for its biennial conference in May, Daniel-Robert Gooch is optimistic about good vibes for air travellers while acknowledging room for improvement to decrease frustration. Gooch, who has been the CAC’s president since 2011, is overseeing the roll-out of a marketing campaign aimed at increasing consumers’ understanding of the opportunities and challenges facing air terminals. The digital campaign, called “Wonder Takes Flight,” is designed to appeal to frequent fliers. The first phase of the campaign began in February and runs through June. It will be followed up this fall with the start of a series of informational segments, covering topics such as airport ownership models and economic impacts. On screens and billboards at 17 airports across Canada, as well as through social media, “campaign ads capture the awe and enthusiasm a child feels when visiting an airport for the first time,” the CAC said in a news release. Gooch and other aviation industry delegates will be at the CAC’s biennial conference, to be held this time in Kelowna, B.C., from May 29 to 31. He is hoping that air travellers will ultimately gain a greater appreciation for the CAC’s efforts to make Canada’s terminals more efficient and less of a headache for consumers. Transport Canada owns 23 of the airports and charges ground rent, while operations in Yellowknife, Whitehorse and Iqaluit are owned by their respective territorial governments. The opening topic at May’s conference will be the wide-ranging impact of Canadian airports, with a study from 2017 showing that domestic terminals generated $48 billion in economic output and employed 194,000 people. But competitiveness is about more than simply costs, with travellers seeking ease of travel. That includes going through Vancouver International Airport and Toronto’s Pearson International Airport, where there have been programs for many years geared toward speeding up travel for connecting passengers from certain Asian countries, without Canadian visas, heading to the United States with valid American visas. 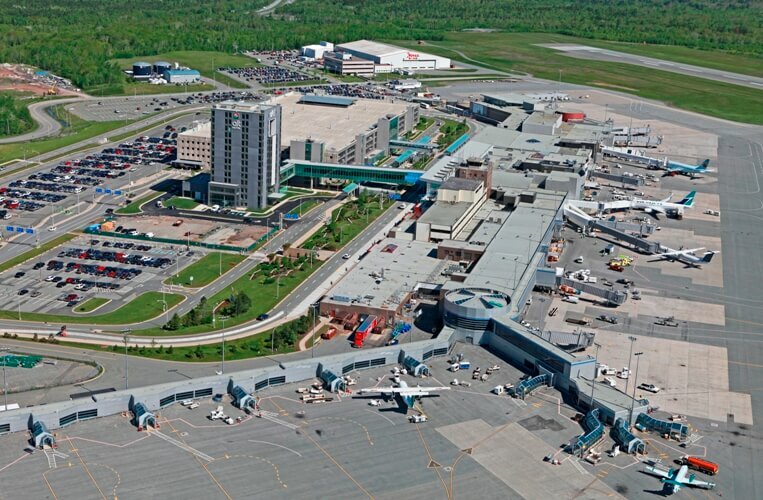 Canada’s airport and airline sectors have tried unsuccessfully for years to persuade the federal government to eliminate ground rent charged to larger terminals. The federal government has been collecting revenue from larger air terminals since the early 1990s. While the CAC previously lobbied the federal government to cancel ground rent to all the affected airports, the organization has switched its focus to arguing that rent be dropped for terminals that attract fewer than three million passengers a year. If that proposal were to be implemented, it would leave airports in eight markets still paying rent: Toronto, Vancouver, Montreal, Calgary, Edmonton, Ottawa, Winnipeg and Halifax. “As a group of airports, we haven’t been talking about airport rent for quite some time,” said Gooch. Another contentious issue is screening conducted by the Canadian Air Transport Security Authority (CATSA). “The government has been collecting a lot of money out of travellers such as the security charge, and we want to ensure that the money being collected will be used to benefit the aviation sector,” said Gooch.